A young lady from Natchitoches wearing her seat belt avoided serious injury in a single-vehicle crash on Old River Road Tuesday afternoon at approximately 3 p.m. Patrol deputies, La. State Police and Natchitoches Regional Medical Center EMS responded to reports of the single-vehicle crash involving a tree on the Old River Road near Natchez. 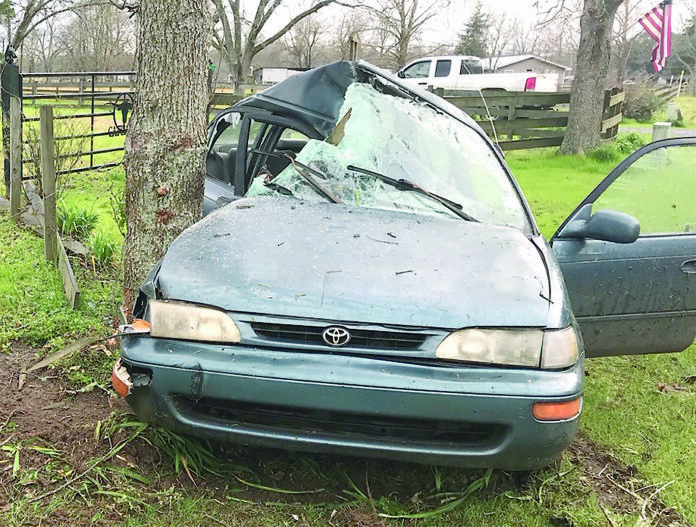 According to LSP, an 18-year-old Natchitoches teen operating a 1996 Toyota passenger car was traveling southbound on Old River Road when she apparently lost control of the vehicle leaving the roadway on the left side and impacting a tree on the passenger side of the vehicle. The driver was wearing her seat belt and was treated at the scene by EMS for minor injuries pending a private physician visit if needed. Master Trooper S. Pezant worked the crash.